Now that autumn is among us, myself and a few others decided to head to a local-ish arboretum in an attempt to capture the autumn colours. 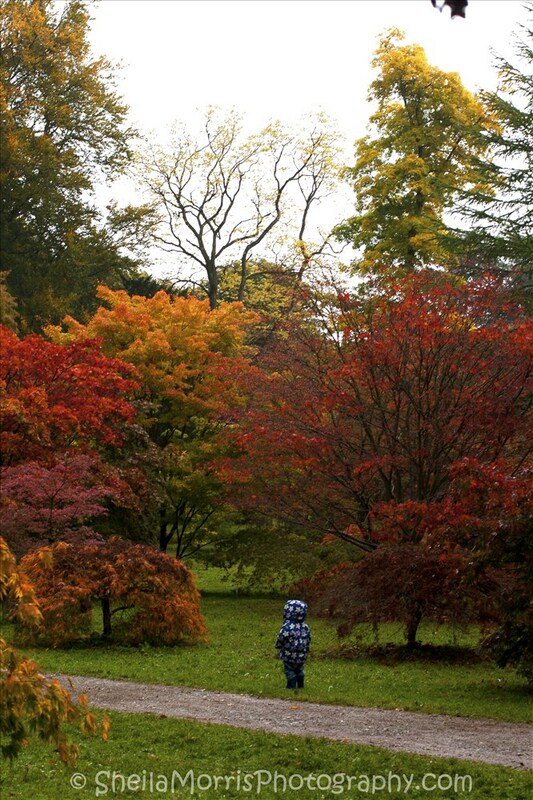 We headed off to Westonbirt Arboretum in Gloucestershire, which has many acres of different trees producing a dazzling display of the many shades from green to orange to red. With plenty of trees to photograph and the colours changing everyday, if only I lived a little closer where I could visit this place more often. Still just over an hours drive down the motorway isn’t too bad really. This was a perfectly timed shot with the little kid standing still for long enough to allow me to capture them wearing blue amongst the greens and reds. Thank you to that child, whoever and wherever you maybe. There was plenty of walking to be had and plenty of trees to look at and photograph. No doubt I’ll be back again at some point in the future. Hopefully when the sky is bluer. And I must remember to check my camera settings to save some post processing work.